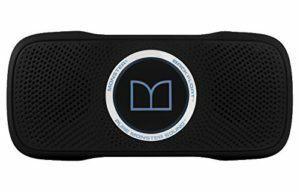 Are you looking for a waterproof Bluetooth speaker that floats? If yes, then there is a wide variety in the market for you to choose from. However, this list narrows the options for you. This speaker is ideally made to make it float on its back. It has a mesh case that is transparent to protect it while it plays in craggy surroundings and a silicone wrap to cover it. When fully charged, the life of its battery offers 7-hours of playtime. In addition to Bluetooth, you can connect Android and iOS to the speaker through a 3.5 mm audio jack. Despite having shockproof features, the speaker’s sound is directional, and it also lacks a speakerphone feature. The ECOXGEAR-ECOROX has a rugged design and waterproof feature as well as the ability to connect wirelessly to your tablet and phone through Bluetooth. It can stay under 3 meters of pool water for half an hour and float too. The speaker also has a built-in waterproof microphone to aid you in the management of your calls via the speakerphone. This makes it perfect for camping, hiking, and other external activities. Its battery offers 10 hours of continuous playtime. Additionally, it has 2 built-in speakers that can pump out 8 watts sound that is clear with thundering bass. The Bluetooth has a connectivity range of up to 10 meters and can be connected to the iOS or Android device. With a weight of 317.5 grams, it’s easily portable. ECOXGEAR EcoCarbon is an excellent waterproof speaker that floats on water. It lets you stream music via third-party apps such as Spotify, Apple music, and Pandora. With its powerful Li-ion battery, it can last up to 12 hours of playtime. You can, therefore, listen to your best songs the entire day. The speaker also has a built-in power bank that allows you to charge your phone. 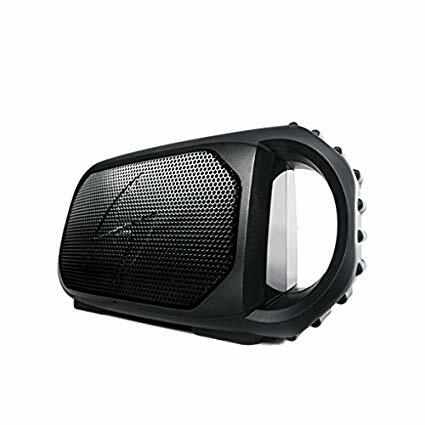 It is suitable for an active lifestyle and outdoor activities since its 16-watt speakers provide you with decent quality sound. Its texture makes it look like a garden speaker in a way. But even though it’s not a standard shape, its durability is solid. This is a waterproof portable speaker that offers impressive sound with clear vocals and good highs. 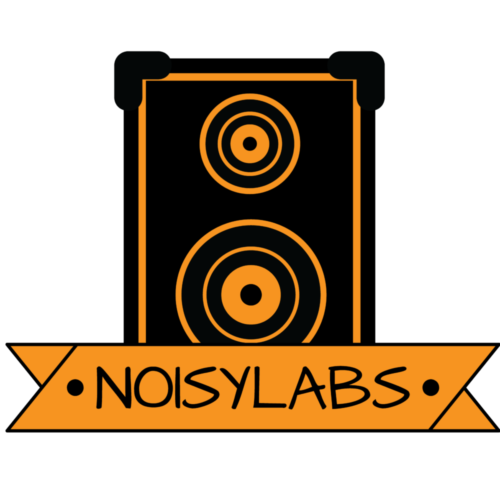 Its signal-to-noise ratio is so good you know there’s a tuned amplifier. In addition to being fully waterproof, it floats on water, making it one of the best waterproof Bluetooth speakers. The speaker has a Bluetooth AptX technology that offers wireless connectivity that is seamless to your Android and iOS devices. It also has a 3.5 mm AUX jack, a built-in handle, and a camera style mount below. It delivers a 24-watt quality sound, and it has a built-in power bank to charge your devices. It also has a built-in rechargeable battery that offers you a 12-hour playtime. 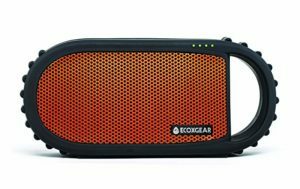 The ECOXGEAR ECOXBT is the best waterproof Bluetooth speaker since it’s 100% waterproof. It consists of two large handles on every side making it portable as you can run straps through it to fasten it to your bicycle, showerhead, or body. Its robust Li-ion battery can last for over 10 hours, and you can listen to music as it charges. While the controls appear simple to use, there’s difficulty in pressing the buttons. With a weight of 680 grams, the speaker is easy to carry. It offers 3 watts of complete sound for every channel through its dual stereo speakers, making it part the best floating speakers with lights. The Kicker Bullfrog BF100 has IP67 waterproof certification together with Bluetooth connectivity. In addition to having the ability to float on a lake, hot tub, or pool, it is also dust-proof. 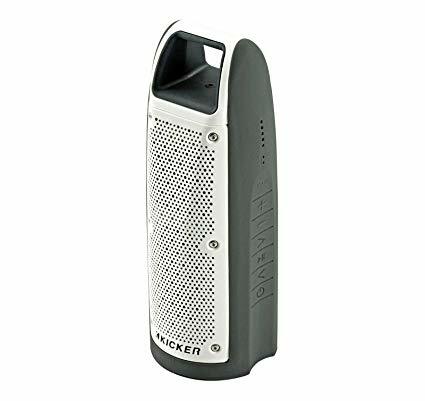 The speaker consists of an integrated carrying handle as well as a small compact casing. With a weight of 51.3 grams, the portability hasn’et been easier. It has a 2600 mAh battery that offers a 12-hour playtime. It has 4 speakers that give out a 16-watt sound. Its 360-degree sound is clear and loud, but the speaker can have a more room-filling sound when paired with an extra Bull Frog speaker. The UE ROLL 2 is made with waterproof exteriors and can survive for up to half an hour under 1 meter of pool water. Its Bluetooth connectivity feature that allows you to connect an Android or iOS device within 100 feet. Sometimes products only connect up to 30-40 feet, this one goes the full 100 feet. It has a bungee cord that lets you fasten it to your bike, board, or backpack stress-free. Additionally, it has a 3.5 mm audio jack that allows connection of non-Bluetooth devices. The speaker features an excellent Li-ion battery that offers playtime for up to 9 hours. With its small size, it weighs 4.5 grams, making it highly portable. 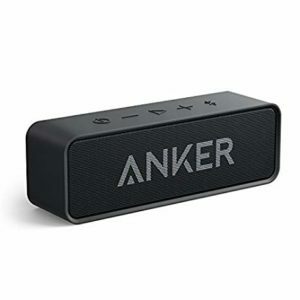 Anker SoundCore Bluetooth speaker is built in a compact and small unit. It has floating capabilities as well as dual sound drivers. The speaker has great compatibility with all devices that are Alexa-enabled, giving it the ability to connect to Android and iOS devices within a range of 66-feet. It is waterproof, making it ideal for dancing in the rain and pool parties. It can stay under one meter of your pool water for close to half an hour. 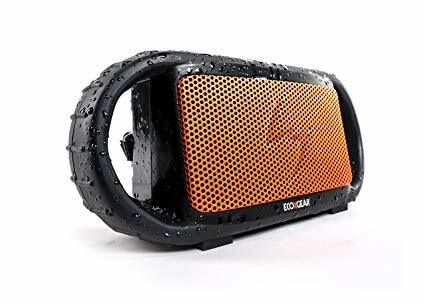 This is an outstanding waterproof speaker with Bluetooth and waterproof capabilities. In addition to being waterproof, the speaker can float too. The speaker has long-lasting fabric as well as a robust 6,000 mAh Li-ion battery, which offers you 20 hours of playtime non-stop. The integrated noise-cancellation speakerphone and echo let you enjoy clear calls. 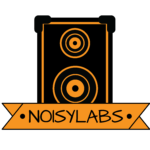 You can connect several units for sound amplification. 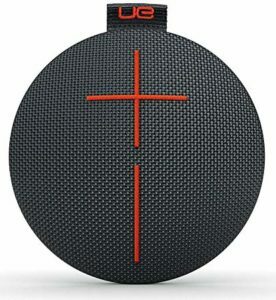 The speaker has a weight of 800 grams and a small, compact size that make it ideally portable. If you are looking for a speaker that offers floating, waterproof, and Bluetooth capabilities, these nine speakers are the favorites. 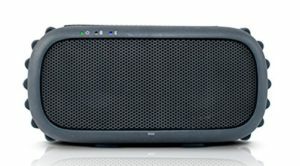 Depending on your needs regarding battery life, connectivity range, and sound quality, you can choose the best floating pool speakers that meet those needs.